Dye Fore golf course secrets revealed! 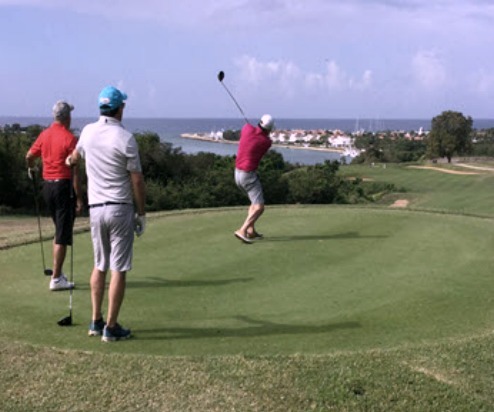 While the Dye Fore golf course may not get as much publicity as the top rated Teeth of the Dog at Casa de Campo in La Romana Dominican Republic. I think is is time to let the secret out about how challenging and deceptively tricky this is to play. 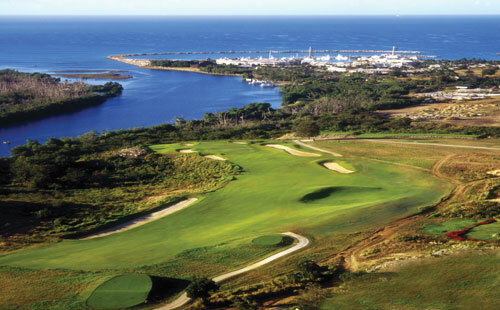 The course is one of the three options you have to play at Casa de Campo and each one is different. This means you are going to encounter some jaw dropping scenery of the Caribbean sea with amazing views. Because of the higher elevation you will find yourself playing over ravines. There are 27 holes for you to choose to play. It plays plays back and forth to the highest points of the golf course with views down below to the Chavon river mouth at the marina. 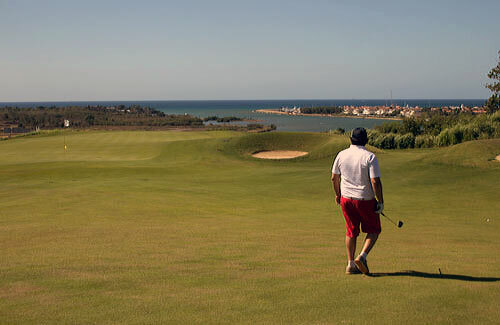 Be prepared to tee off from elevated tees that play out toward the marina and the sea with trouble to your left. Chavon is another 9 holes that you high above the cliffs of the Chavon river, this is where Rambo with Sylvester Stallone Part 2 & 3 was filmed. The final 9 hole option is the Lakes which has water on five holes, with narrow fairways and smaller greens. To be honest I found this layout not to be as exciting as the other 18 holes. It is tough with beautiful greens from the mountain. Yet can see that world class designer Pete Dye's fingerprints is present everywhere. As challenging as it is, Dye Fore is a course that players of all levels should experience. The greens are challenging with two outstanding finishing holes. Hole #18's approach shot is to a high protected green. Which club is going to make on the green?